Here's the diploma. It's official now! Last Friday Ian went through his first "graduation" -- from a program at his pre-school called "Kindergarten Connection." 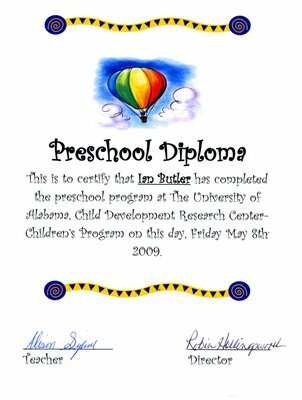 It's a program to help the pre-schoolers adjust to actual kindergarten, which Ian starts in just three months!